A leading manufacturer of granite surface plates, accessories and machine bases. Since 1984 we have strived to exceed our customers' expectations in every way. uniformity of surface, accuracy, deflection under load, type of use and price. 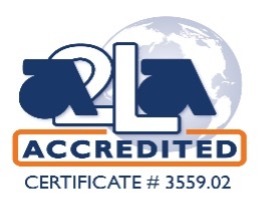 We are ISO 9001 Certified and our granite is quarried in the state of California. We produce our granite products from several types of granite, depending on the customer's needs. Laboratory tests have shown that fine-grained black granites are stronger, denser, and less absorbent than other granites. For this reason precision machine bases, air-bearing surfaces and accessories are best made from black granite. 17025 Accredited Calibration Services are available upon request. 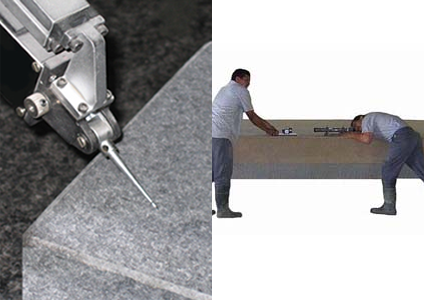 On-site Service to drill and add inserts to your granite is also available. To schedule on-site service or to establish travel charge to your facility in Southern California, please contact our Sales Department.